Our skin is exposed to sunlight every day and, over time, sun exposure can lead to wrinkles, dryness, and changes in skin pigment. The aging process is similar: when our skin loses its youthful resilience, wrinkles can begin forming. Whether you’re unhappy with the tone and texture of your skin due to sun damage or aging, microdermabrasion in Bountiful can help. Microdermabrasion at Ogden Clinic Bountiful is an exfoliation technique that removes the top layer of epidermis, reveling youthful and radiant skin underneath. This is a mechanical treatment that uses a minimally-abrasive instrument to gently “sand off” the thick, uneven outer layer of skin. The microdermabrasion tool is a high-speed instrument with an abrasive wheel or brush that glides across skin. What can microdermabrasion at Ogden Clinic Bountiful do for you? Is this different than an at-home microdermabrasion treatment? Yes. The microdermabrasion that an Ogden Clinic dermatologist performs differs from the one that you can do at home with a kit. A dermatologist treatment in Bountiful goes deeper into the damaged skin but is still safe for all skin tones. Your skin will feel dry and tight for about 24 hours following a microdermabrasion treatment in Bountiful. You’ll be instructed to apply moisturizer and sunscreen often and avoid direct sunlight for the first few days after this procedure. 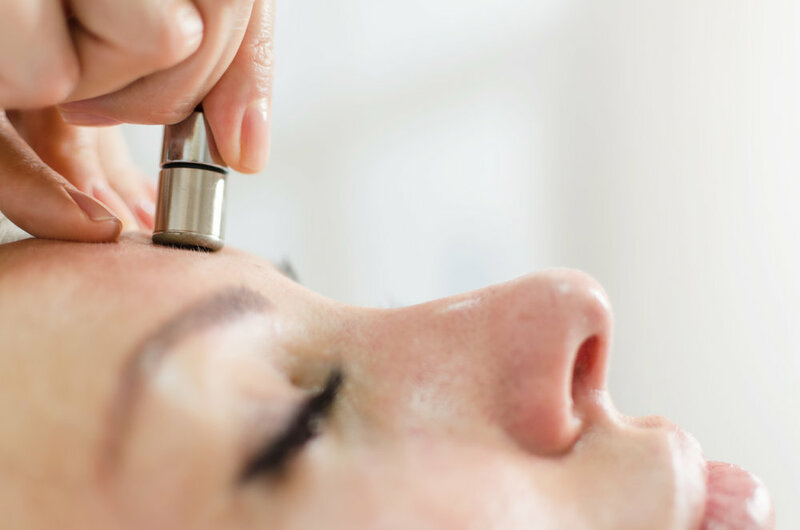 Curious about microdermabrasion for skin and sun damage at Ogden Clinic in Bountiful? Schedule a consultation one of our knowledgeable staff members today.